In the box you get the Buck and an Assault Rifle. Here is Buck in orthogonal views. The figure is a little stretched height-wise. 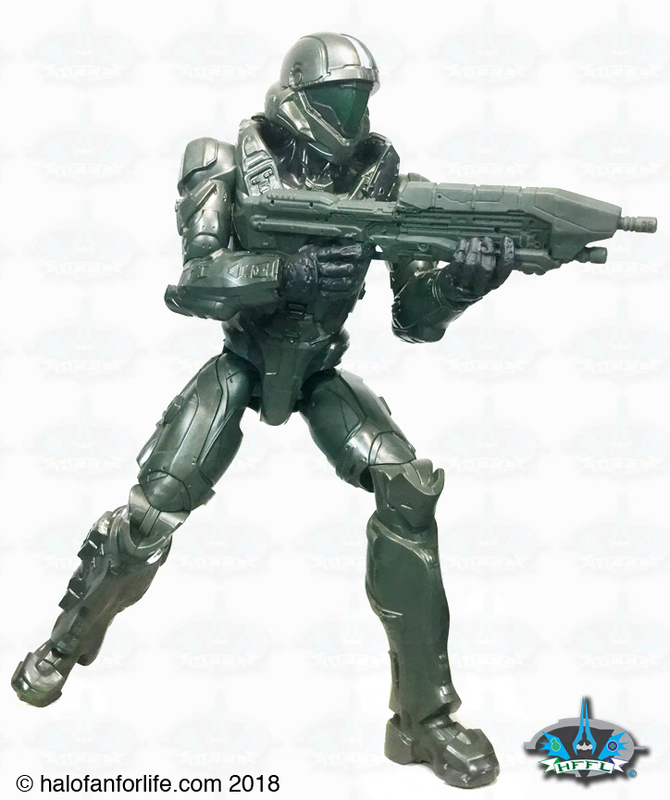 This the only thing I’m disappointed with with Mattel’s 12 inch Halo figs. I’d rather they be bulkier and not stretched tall. Since they are very affordable toys however, I’m willing to overlook that. Speaking of, I haven’t shown a comparison shot of the 12 inch and 6 inch figures. 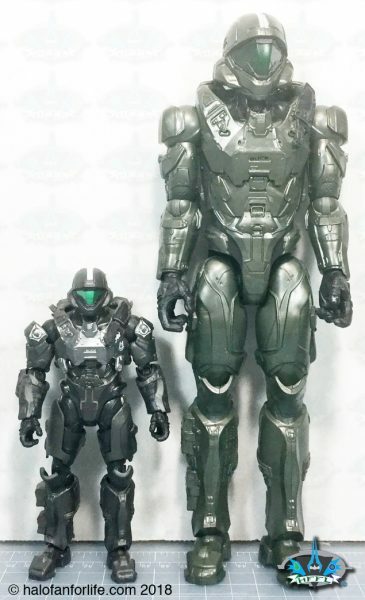 As you can see, the 6 inch figure is nearly the same width as the 12 inch one. The proportions are correct for the 6 inch figure. 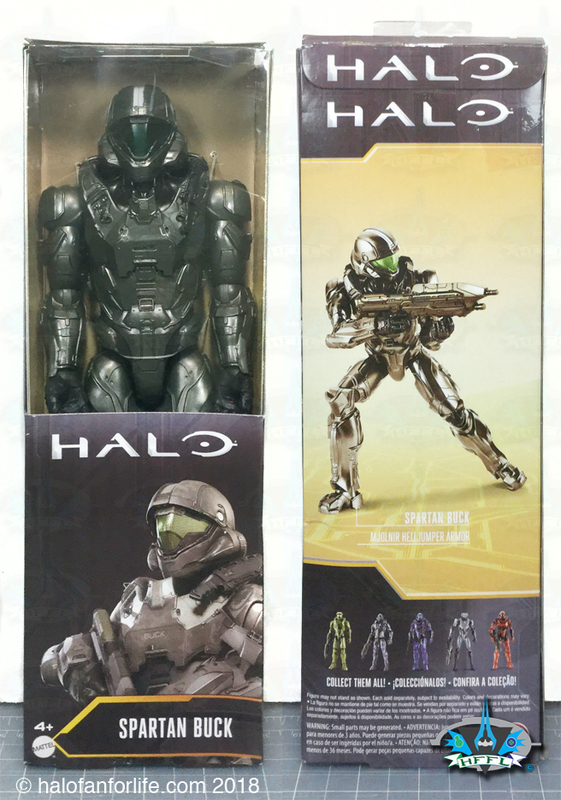 Again, however, note that the 12 inch figure costs less than half of what the 6 inch one does. 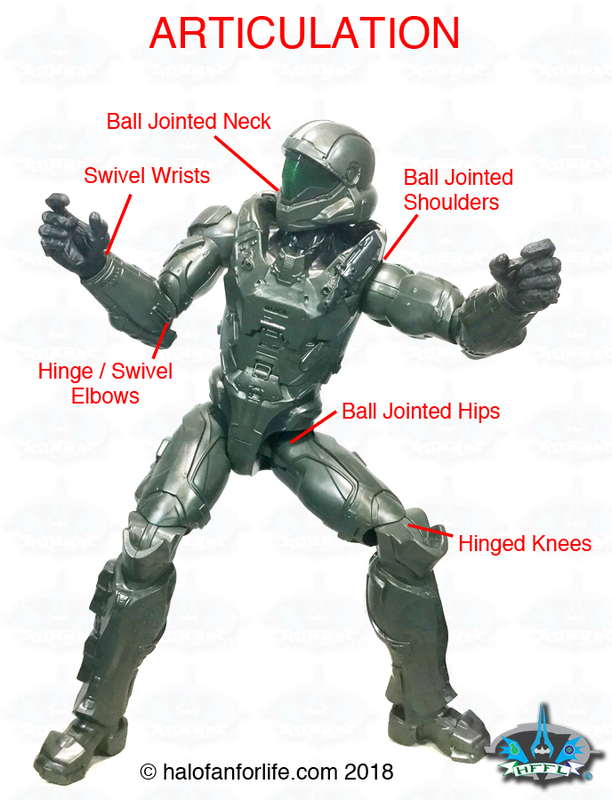 This is the big reason why the 12 inch is less detailed, less articulated and thinner. If a 12 inch figure were in proper scale and had the same articulation as the 6 inch one, we’d be looking at a $50 figure. That’s not something retail stores would carry as quickly. Simply put, they wouldn’t fly off the shelves so fast. 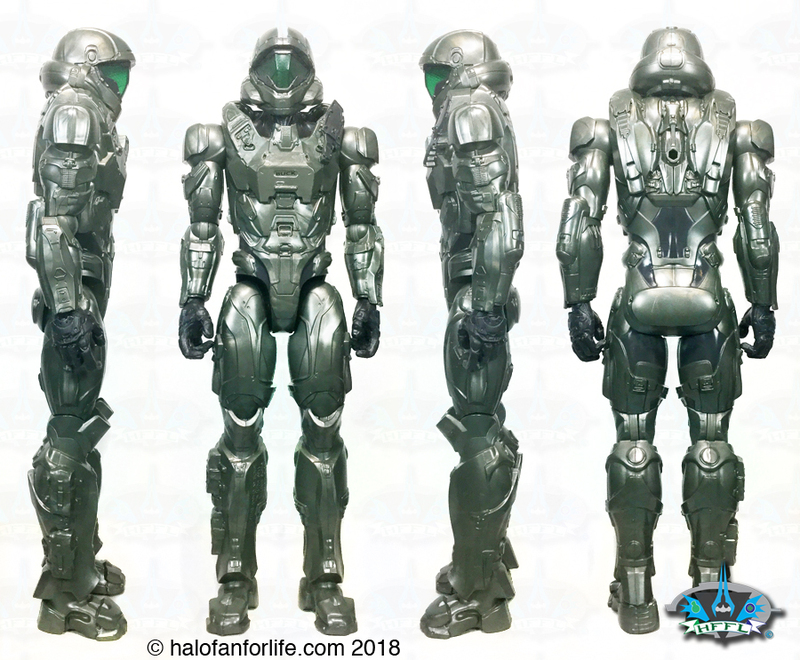 The current version of the 12 inch figure is $8-10. It’s a LOT more affordable, even if not so accurate. Though the 12 inch Mattel Halo figures have less articulation than their 6 inch counterparts, they can still be put into some cool poses, as seen below. Sculpt: Good, though the figure is stretched to fit the box and is compressed at the torso to be thinner than it’s in-game model. 8.5 of 10 medals! Do I recommend this product? Well, for one, it’s Buck! He’s a fan favorite. So most certainly if you’re a Buck fan. It’s not a bad figure to pick up at any rate.